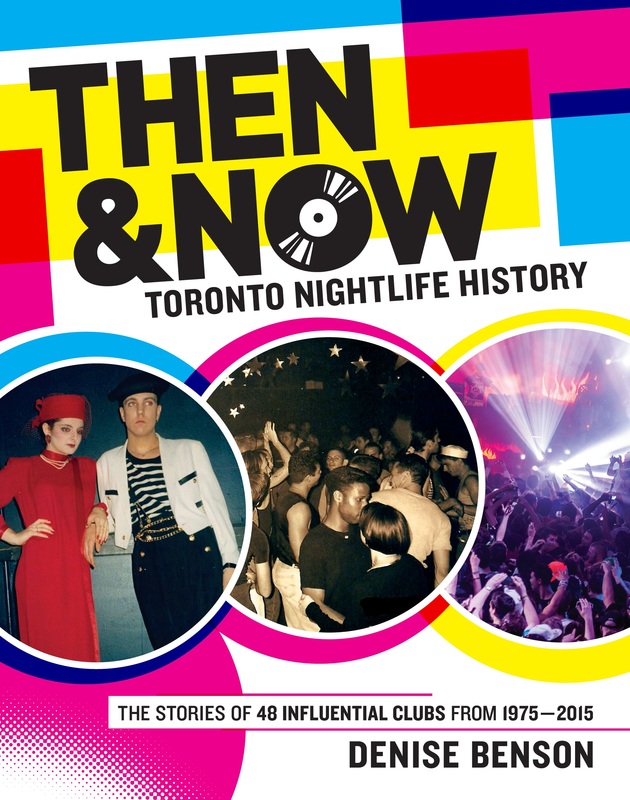 Then & Now: Toronto Nightlife History book cover. Design by Noel Dix. Published by Three O’Clock Press. By Denise Benson. Foreword by Stuart Berman. The history of Toronto’s nightlife reveals its pulse. From award-winning veteran music journalist and DJ Denise Benson comes Then & Now: Toronto Nightlife History, a fascinating, intimate look at four decades of social spaces, dance clubs, and live music venues. Through interviews, research, and enthusiastic feedback from the party people who were there, Benson delves deep behind the scenes to reveal the histories of 48 influential nightlife spaces, and the story of a city that has grown alongside its sounds. Toronto-based feminist publisher Three O’Clock Press has announced that it will publish ebook and print editions of the book Then & Now: Toronto Nightlife History, by Denise Benson. Based on Benson’s popular column for The Grid, Then & Now surveys Toronto nightlife during the 1970s through the 2000s, vividly sharing the stories of more than 40 diverse, influential nightclubs and their larger social impact. Utilizing both extensive research and the candid participation of people actively involved in each club, Benson takes us into both live music and DJed hotspots— from early discos to punk and new wave hangouts, gay afterhours clubs, seminal electronic music spaces, key concert venues and beyond. Then & Now is an evocative, timely exploration of both Toronto after dark and the ways in which nightclubs and social spaces tend to foreshadow gentrification trends. The Then & Now column was awarded silver in the class of “Best online-only article or series of articles” (green division) at the 2012 Canadian Online Publishing Awards, and was a nominee in the 2013 National Magazine Awards’ “Columns” category. Three O’Clock Press is proud to represent this important project. Then & Now: Toronto Nightlife History will be published in Spring 2015. THEN & NOW: Book July 15. Launch July 23.